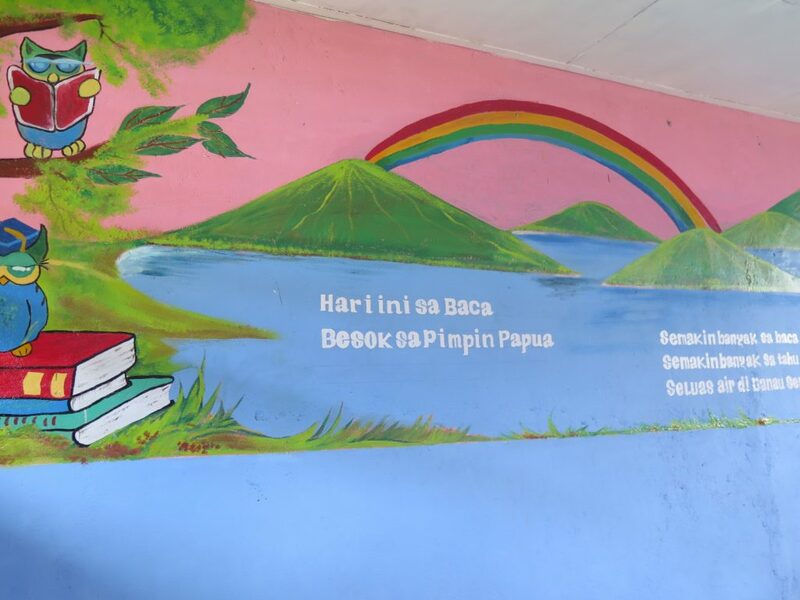 “Today I read, tomorrow I lead Papua”, that was the quote written on one wall of Rainbow Reading Gardens library at SD YPK (Yayasan Pendidikan Kristen) Kanda, Waibu District, West Sentani, Jayapura Regency, Papua. 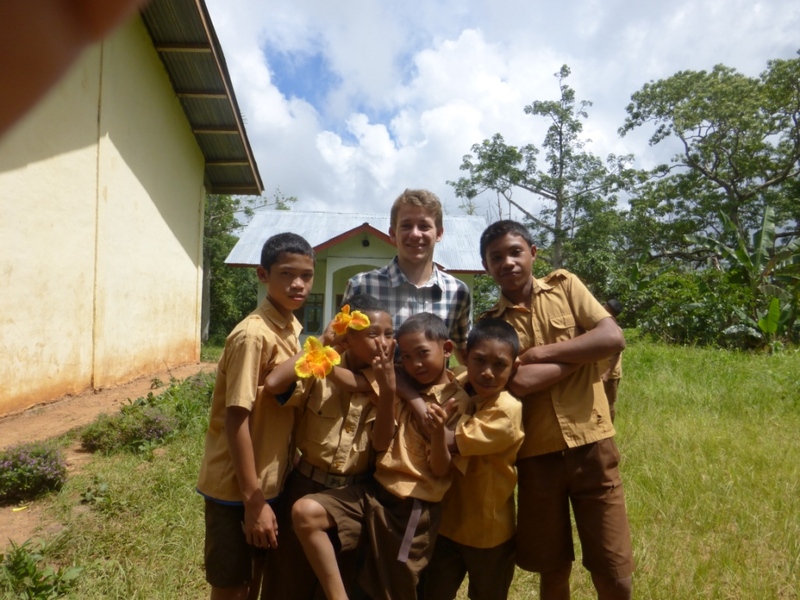 When I first visited the school, the library building was used as a classroom for the third grade. 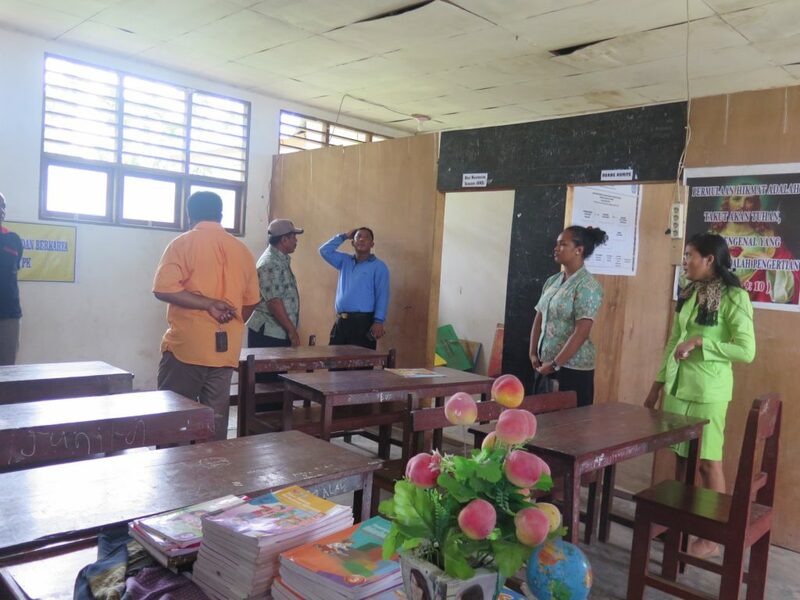 This was because the building for grade III was about to be renovated. The library building we saw that day was far from comfortable and adequate. The room was divided into some parts for a number of uses, while books were placed on the floor as they lacked bookshelves, the roof leaked, and floor was cracked. 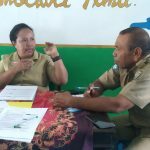 However, when talking and discussing with the principal, Ibu Alfonsina Olua, she fully supported the partnership with Rainbow Reading Gardens to establish a child-friendly library at the school she was assigned to lead at in the past two months. 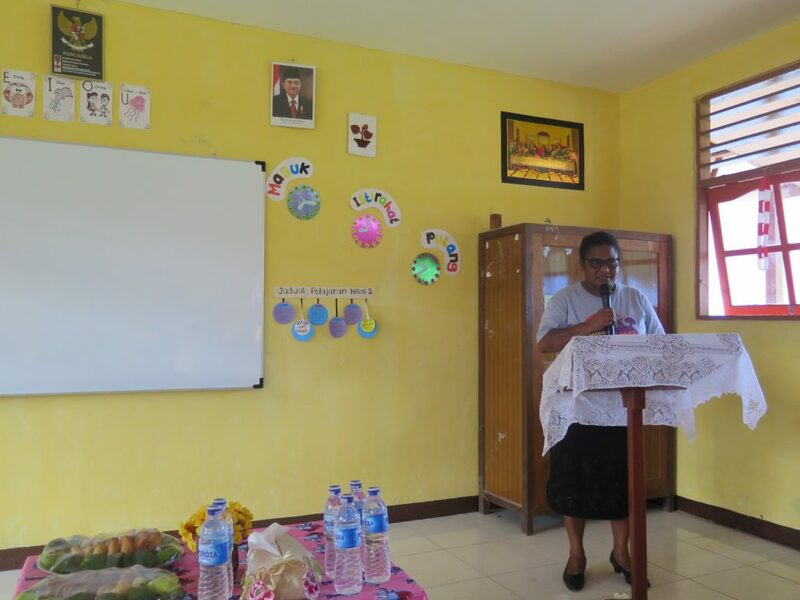 The positive support shown by the principal and teachers convinced us that SD YPK Kanda would be one of the schools we collaborate with in establishing a child-friendly library. And this assumption is no wrong. 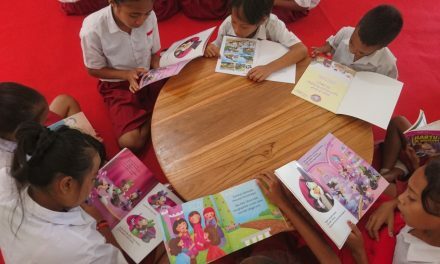 They worked together to create a child-friendly library. After about three weeks working for the library, the library building finally looked fresh and fun. Papua-styled drawings, such as Sentani Lake and Cendrawasih are seen in the library. So comfortable and fun. 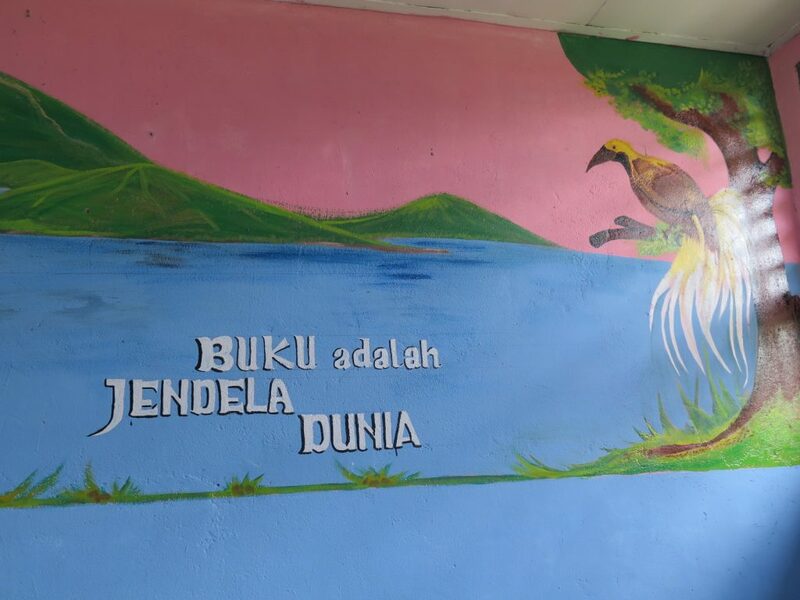 Sentani Lake on the wall! 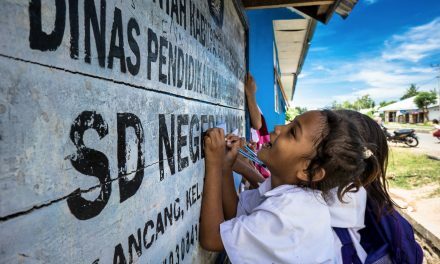 Children, in addition, cannot stop expressing their excitement and admiration for their new library. 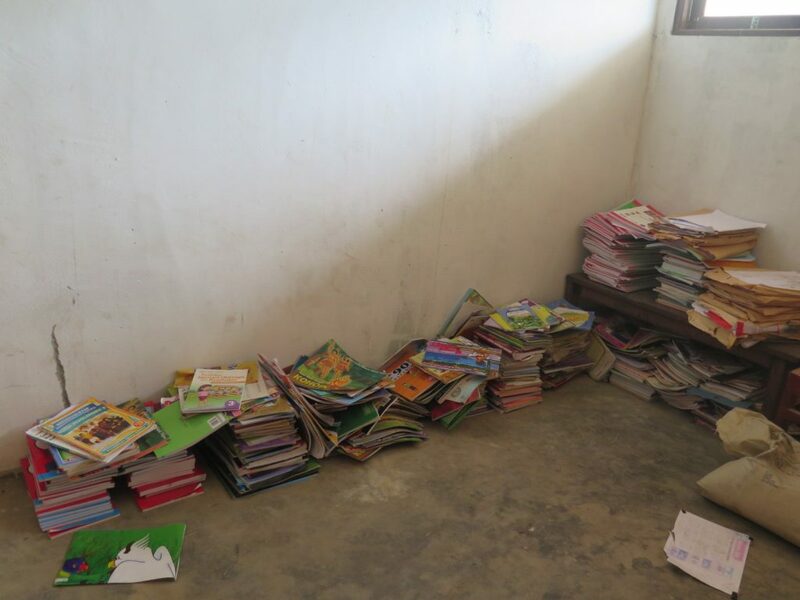 As the books arrived at the school, they got involved in arranging and sorting out books. They once got caught reading the books they were holding. Hahahha… they cannot take their eyes off the books. Some students from Grade VI creating print-rich materials! 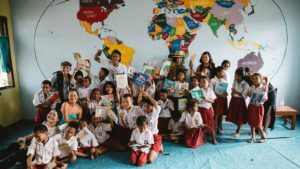 On Friday, May 5 2017, the library was finally inaugurated. Everyone was happy for all the hard works in the past month. 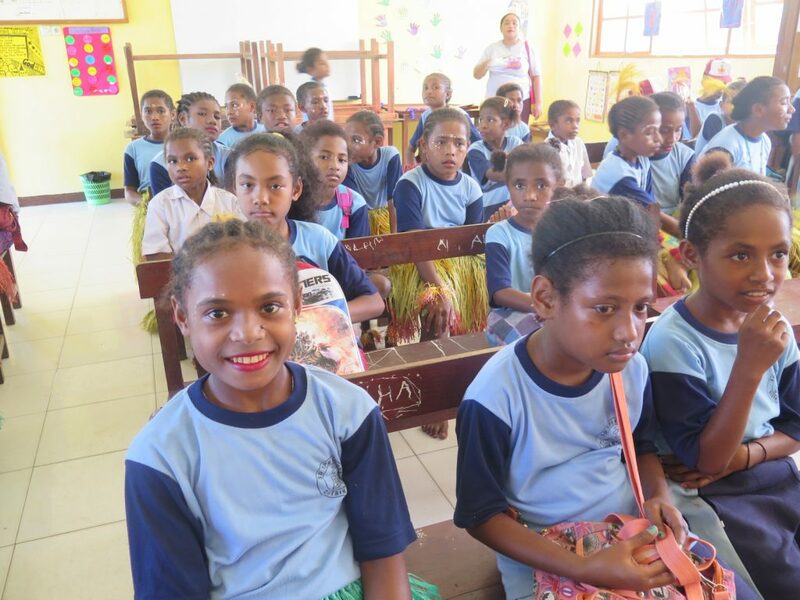 The inauguration ceremony was attended by the Head of UPTD, Yakonde Village Chief, Head of Committee, some parents, teachers and principals from neighboring schools, and of course the students of SD YPK Kanda. 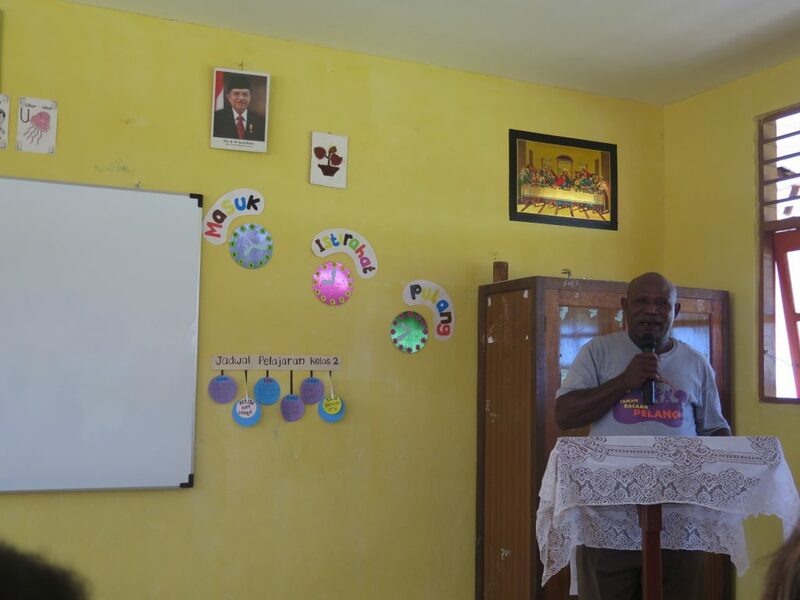 The Head of Committee of SD YPK Kanda who is also Yakonde village chief was giving his speech during inauguration. 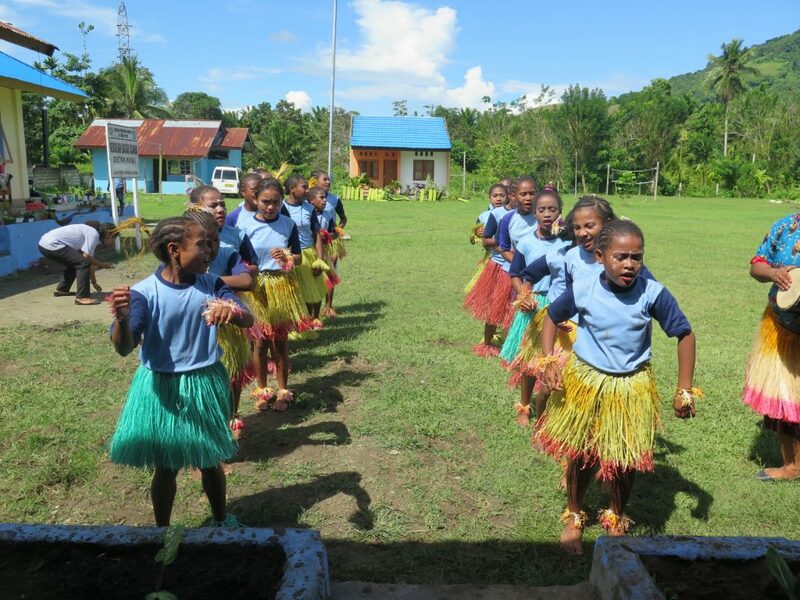 Children are performing welcoming dance of Papua! Everyone was excited for this library. 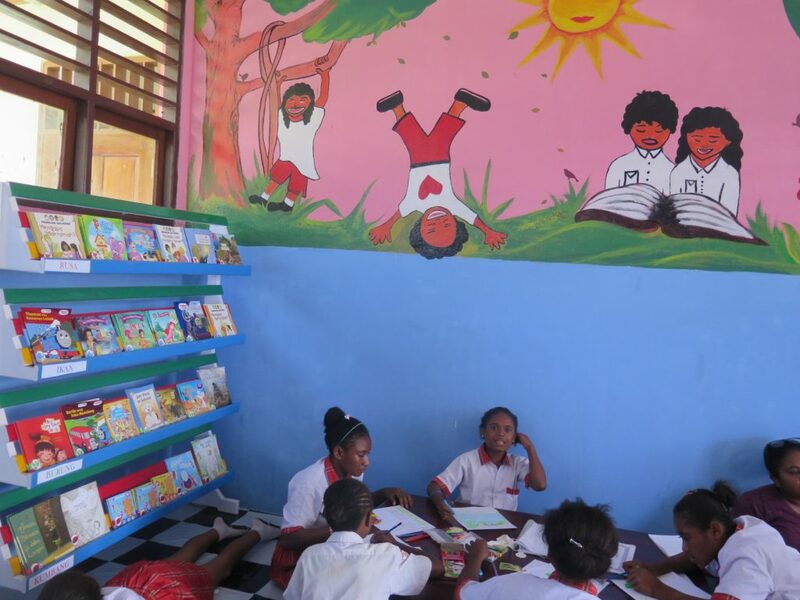 They hope that the presence of this library helps children of Kanda love books and dream higher in the future. Rainbow Reading Gardens library at SD YPK Kanda is our 56th library. 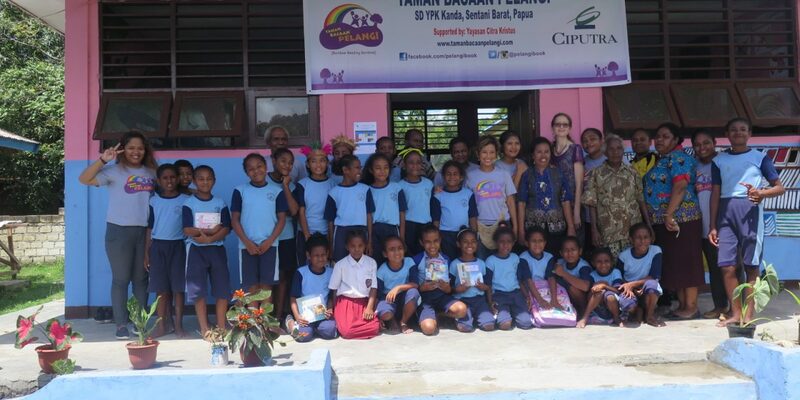 Collaboration and donation from Ciputra Mall Jakarta and Yayasan Citra Kristus provide access to story books and fun library for the children of Papua. 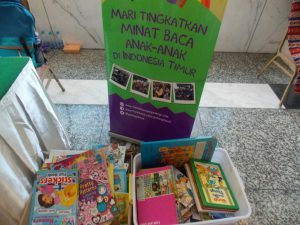 Thank you, Ciputra Mall Jakarta and Yayasan Citra Kristus! 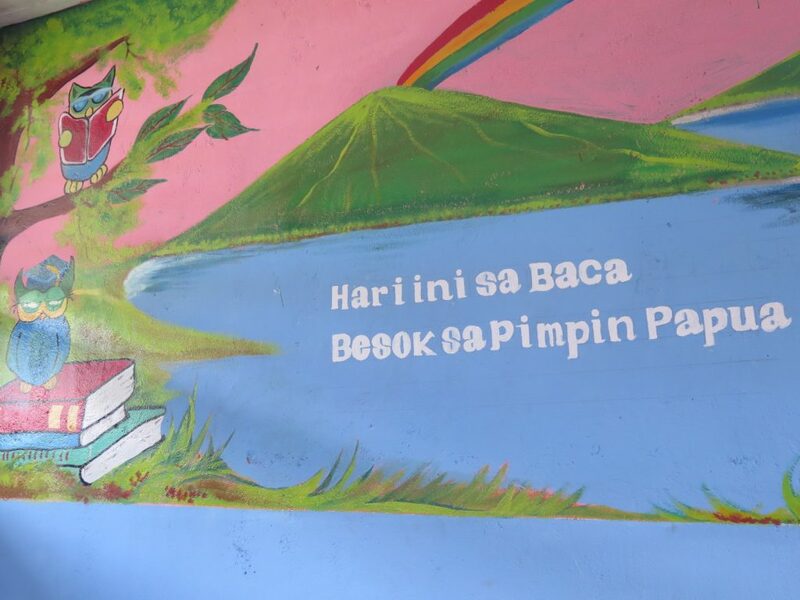 By the presence of this child-friendly and fun library, may the children of SD YPK Kanda be more spirited to pursue their dreams. 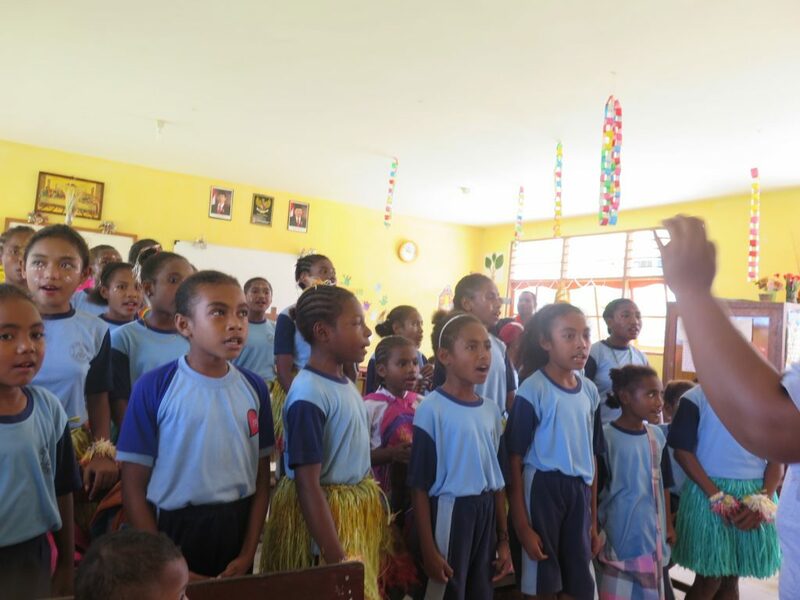 May the children of SD YPK Kanda be bright generations to lead Papua in the future.